In your Presentation's Settings, enter a percentage value you would like to require as a deposit before the Buyer can place an Order. Each presentation can have a different deposit percentage (optional). 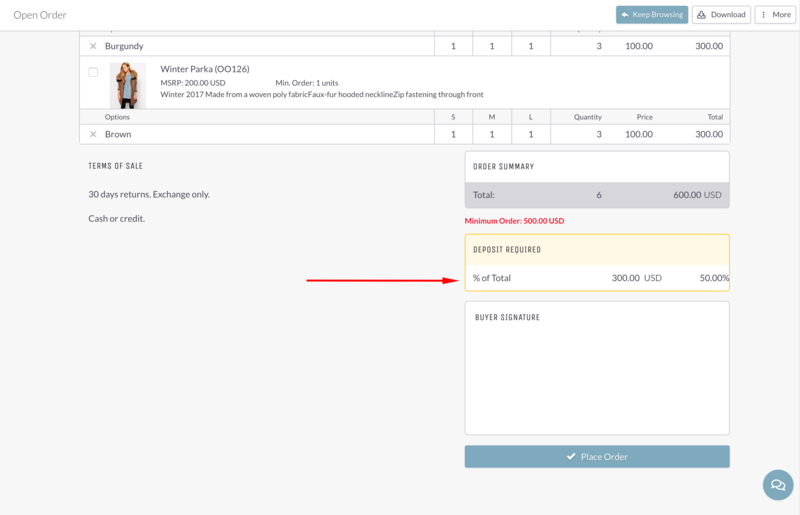 When your Buyer goes to place an Order through this particular presentation, they will see a "Deposit Required" box at the bottom of the Order Form. 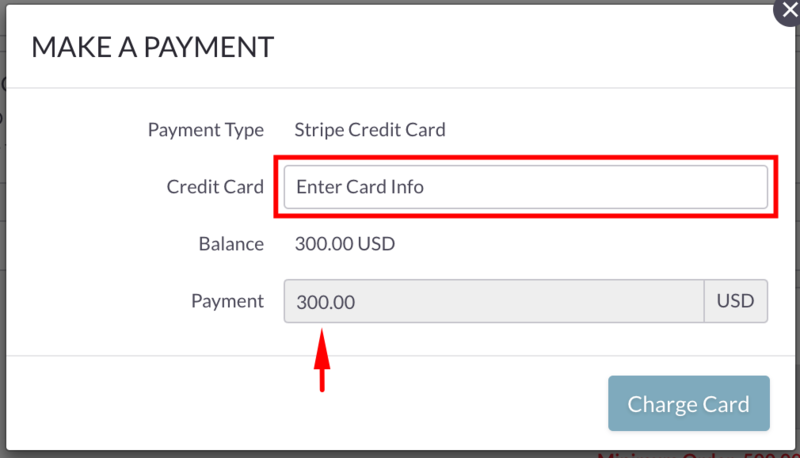 After clicking the "Place Order" button, a prompt will appear, asking the Buyer to enter their credit card to charge the deposit amount. Once the deposit has been paid, the box will then change to say "Deposit Paid." 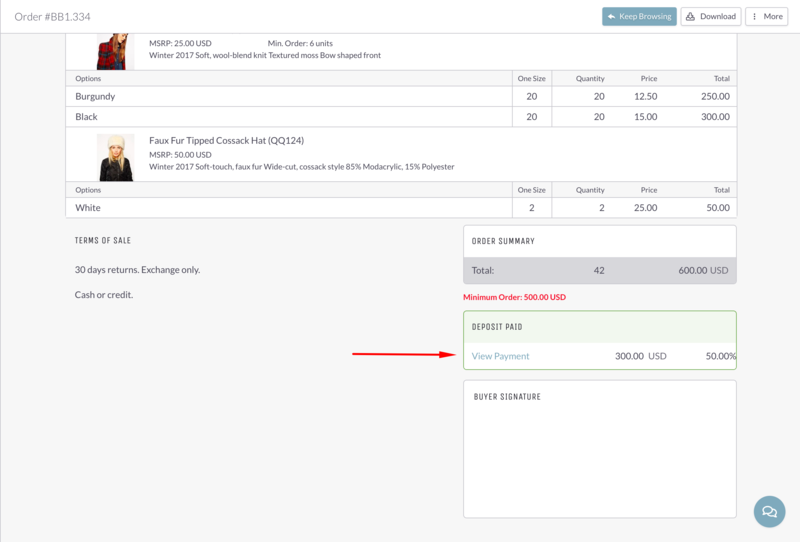 The Buyer can click to view a record of their payment. See Manage Order Deposits for more information on how to handle deposits on the Seller end.